	Einstein, Albert, 1905, On a Heuristic Point of View Concerning the Production and Transformation of Light, Annalen der Physik 17(6): 132–148. Einstein, Albert, 1905, On the electrodynamics of moving bodies Annalen der Physik 17(10), 891-921. Einstein, Albert, 1916, The Foundation of the General Theory of Relativity, Annalen der Physik 49 (4), 769-822, 1916. Guth, Alan H. 1997, The Inflationary Universe, Reading, MA: Perseus Books. Hawking, Stephen W. & Ellis, George Francis Rayner, 1973. The Large Scale Structure of Space–Time. Cambridge University Press. Freud, Sigmund, 1989, Introductory Lectures on Psychoanalysis, WW Norton & Co. Inc.
	Landau L. D. and E. M. Lifshitz, 1976, Theoretical physics, Vol, 5, Statistical physics, part 1, Nauka, Moscow. Hume, David 1896, A Treatise of Human Nature, Clarendon Press. Born, M. 1949, Natural Philosophy of Cause and Chance, Oxford. Bohm, David. 2005. Causality and Chance in Modern Physics. London: Taylor and Francis. Gilbert D., 1923, Basis of Geometry, Translation from German, L.
	Mach, Ernst, 1960, The Science of Mechanics; a Critical and Historical Account of its Development. LaSalle, IL: Open Court Pub. Co.. LCCN 60010179. This is a reprint of the English translation by Thomas H. MCCormack (first published in 1906) with a new introduction by Karl Menger. PLM de Maupertuis, 1744, Mém. As. Sc. Paris p. 417. Einstein, Albert, letter to Ernst Mach, Zurich, 25 June 1923, in Misner, Charles; Thorne, Kip S.; and Wheeler, John Archibald (1973). Gravitation. Arfken,G., 1985, Mathematical Methods for Physicists, 3rd ed. Orlando, FL: Academic Press. Sommerfeld A., 1955, Thermodynamics and statistical physics, translation from German, M.
	Kondepudi, D. & Prigogine, I. 1998, Modern thermodynamics. New York, NY: Wiley. Brown, M. 2005. editor, Feynman’s Thesis: The Principle of Least Action in Quantum Mechanics, World Scientific, Singapore. Kibble, Classical Mechanics, European Physics Series, McGraw-Hill (UK), 973. Maslov, V. N., 1991, Thermodynamic basis of the principle of least action. Izvestiya Vysshikh Uchebnykh Zavedenii, Fizika, (Russ. Phys. J.) 5, 53–59. Hanc, J. & Taylor, E. F., 2004, From conservation of energy to the principle of least action: a story line. Am. J. Phys. 72, 514–521. Ritz, W. & Einstein, A. 1909, Stand der Strahlung Problems. Zum gegenwartige. Phys. Z. 10, 323–324. Hilbert, D.,1915, Die Grundlagen der Physik Konigl. Gesell. d. Wiss. Göttingen, Nachr. Math.-Phys. Kl. 395-407. Feynman Richard P., 1995, Feynman Lectures on Gravitation, Addison-Wesley, p. 136, eq. (10.1.2); Feynman, RP & Hibbs, AR 1965, Quantum mechanics and path integrals. New York, NY: McGraw-Hill. Carroll, Sean M. 2004, Spacetime and Geometry, Addison Wesley. Huggins M., 1942, J. Phys. Chem.,46, 161. Flory P. J., 1942, J. Phys. Chem.,10, 51. Bresler S. E. and Erusalimsky B. L., 1965, Physics and chemistry of macromolecules, Nauka, M.-L.
	Wolkenstein M. W., 1959, Configuration statistics of polymeric chains, Prod. Academy of Sciences of the USSR. Israelachvili J., 1985, Intermolecular and Surface Forces. London: Academic Press. Schrödinger E., 1935, Discussion of Probability Relations between Separated Systems, Proceedings of the Cambridge Philosophical Society: № 31. p. 555. Einstein A, Podolsky, B., Rosen N. 1935, Physical Review 47, p. 1804. Peres Asher, 1993, Quantum Theory, Concepts and Methods, Kluwer, p. 115.24. Laing A, Lobino M, Matthews JCF, Thompson MG, O’Brien JL, 2012 “Generating, manipulating and measuring entanglement and mixture with a reconfigurable photonic circuit.” Nature Photonics, 6: 45–59. Kroto H. W., Heath J. R., O’Brien S. C., et. al. 1985, C60: Buckminsterfullerene, Nature 318, 162. Casassa E, 1969, Macromolecules, 2,14. Belenky B. G. and Vilenchik L. Z., 1983, Modern liquid chromatography of macromolecules, Elsevier. Holler, F. James; Skoog, Douglas A; Crouch, Stanley R., 2007. “Chapter 1.” Principles of Instrumental Analysis (6th ed.). Cengage Learning. p. 9. Birkhoff, George David, 1942, “What is the ergodic theorem?,” American Mathematical Monthly (The American Mathematical Monthly, Vol. 49, No. 4) 49 (4): 222–226. Newton I., 1915, Mathematical principles of the natural philosophy, Ps., p. 30. Barreira, Luis, 2006, “Poincaré recurrence: old and new.” In Zambrini, Jean-Claude. XIVth International Congress on Mathematical Physics. World Scientific. pp. 415–422. Vilenkin Alex, 2007, Many Worlds in One, Hill and Wang. New York. Oort, J. H., 1932, “The Force Exerted by the Stellar System in the Direction Perpendicular to the Galactic Plane and Some Related Problems,” Bull. Astron. Inst. Neth. 6, 249-87. Freeman Ken, Geoff McNamara, 2006. In Search of Dark Matter. Springer. ISBN 978-0-387-27616-8. Zwicky, F. (1933), Die Rotverschiebung von extragalaktischen Nebeln, Helvetica Physica Acta 6: 110–127. Rubin, Vera C.; Ford, W. Kent, Jr., 1970, “Rotation of the Andromeda Nebula from a Spectroscopic Survey of Emission Regions.” The Astrophysical Journal 159: 379. Bibcode:1970 ApJ...159..379R. doi:10.1086/150317. Einstein, Albert and Infeld, Leopold, 1938, Evolution of Physics. Cambridge University Press. Hawking, Stephen 1988. A Brief History of Time, Bantam Books, Inc.
	Schrodinger Ervin, 1992, What is Life, Cambridge University Press. England, J. 2013, “Statistical Physics of self-replication.” J. Chem. Phys., 139, 121923. Bruice Paula Y., 2007, Organic Chemistry (5th Edition), Saddle River, NJ: Pearson Prentice. Yingjie Li Yingjie et al., 2010. “Fabrication and evaluation of chiral monolithic column modified by β-cyclodextrin derivatives.” Talanta 80 (3): 1378–1384. Iorish Yu., Turobov B., 1984, “Priroda.” No. 11. Shpunt V. Kh. et al. 1995, Electronic Phenomena in Chalcogenide Glassy Semiconductors, Nauka Publishers, St. Petersburg, Russia, 500 pages. Shpunt V. Kh., Rud Yu. V. and Tsendin K. D., 1993, Optical and Electrical Properties of Human Skin, Tech. Phys. Lett., Vol 19, p. 415. Shpunt V. Kh., Shifrin E.I., and Tsendin K. D., 1991, Long-term Integral Electrical Memory of the Human Body, Sov. Tech. Phys. Lett., Vol 17, p.93. Nelson Roger and Bancel Peter, 2011, Effects of Mass Consciousness: Changes in Random Data During Global Events, EXPLORE, November/December, Vol. 7, No. 6, 373-383. Radin Dean, 1977, The Conscious Universe, Harper One. Radin Dean, 2006, Entangled Minds, Paraview Pocket Books. Guy David and Shihman Igor, 2008, Working wonders, Shihman Publishing, New York. Kosmann-Schwarzbach, Yvette, 2010, The Noether theorems: Invariance and conservation laws in the twentieth century. Sources and Studies in the History of Mathematics and Physical Sciences. Springer-Verlag. Oerter R., 2006, The Theory of Almost Everything: The Standard Model, the Unsung Triumph of Modern Physics (Kindle ed.). Penguin Group. Kaku M., 2008. Physics of the Impossible: A Scientific Exploration Into the World of Phasers, Force Fields, Teleportation, and Time Travel., Doubleday Publishing. Bais S., 2005, The Equations: Icons of knowledge. Springer, p. 84-88. Levine, Ira. N 1978. Physical Chemistry, University of Brooklyn: McGraw-Hill. Landsberg. P. T, 1978. Thermodynamics and Statistical Mechanics, Oxford University Press, Oxford UK. Heyerdahl, Thor,1950. Kon-Tiki. Rand McNally & Company. Heyerdahl, Thor, 1958, Aku-Aku: The Secret of Easter Island, Rand McNally & Co.
	Lanza Robert and Berman Bob, 2009, Biocentrism, Benbella Books, Inc., Dallas. The book is written in the popular science format to be comprehensible by general public. 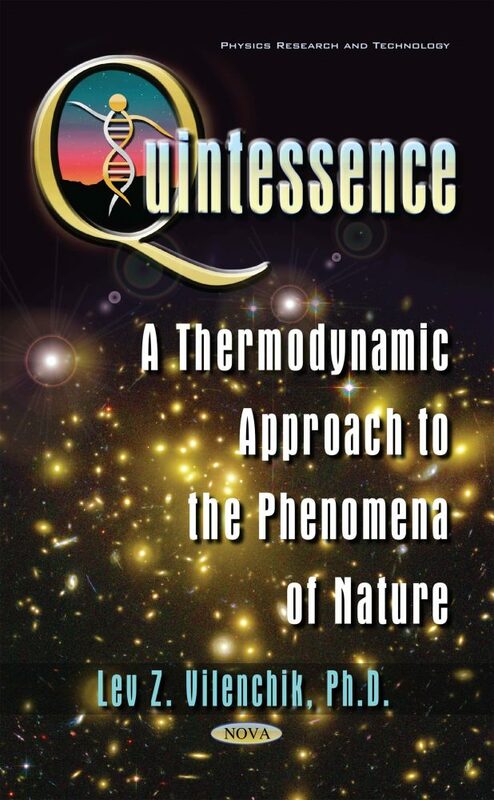 Beside this, it is targeted as well for readers of diverse academic and cultural backgrounds such as physics, chemistry, biology, psychology, medicine, education, religion, and alternative medicine. Reading of the book does not require special math or physics background. However, for those mastering in mathematics and physics, the detailed mathematical description is included in the Supplementary sections.